One of the changes made to the Falcon 9 v1.1 Full Thrust was using supercooled liquid oxygen at 66 K (-340 F) as well as chilled RP-1. I've seen various claims that this is a first in the industry. Clearly liquid oxygen has been chilled this low in a lab before, but is using this level of supercooled LOX a first for a real launch carrying a payload? In websites it is written a lot for the SpaceX and Falcon 9 FT space rocket because this rocket uses the liquid oxygen at -340 Fahrenheit (°F) or 66 Kelvin (K) which is far below compared to other operational rockets used in our days. SpaceX decided to operate different in colder temperatures because it was needed an extra performance for Falcon 9, to have in this way more fuel available for first stage landings. Since Falcon 9 FT is a rocket that could be used to transport astronauts in space and also using the supercooled LOX is not an easy process which could be risky and needs a very secure technology to complete this process, it gives attention and fame to Falcon 9 FT for this part. But the Falcon 9 FT is not the first using supercooled LOX. Other rockets have used it before the SpaceX’s rocket and according the information of some websites even in lower temperatures than Falcon 9 FT rocket uses. So the supercooled is not used only in laboratories for studying it, but also in real rockets putting in to practice and being operational for years. The rocket for which I am referring is the two stage R-9A intercontinental ballistic missile (ICBM) also known as SS-8 Sasin. We know that most of the missiles use very toxic hypergolic propellant or solid propellant. But the R-9A was a launcher that used cryogenic propellants, kerosene and liquid oxygen, for its first stage. It was projected and being operational at the beginning of the space rockets developments when a lot of experiments and test were done for new and unknown technologies at that time. So was even for R-9A rocket in which new technology was applied for the supercooled LOX. Designed in 1959 and first Flight tests of rocket R-9A started on April 9, 1961 and the first successful launch took place on April 21, 1961. It entered in service on July 21, 1965 and remained in service for more than 10 years. A total of only 27 operational launchers and 70 missiles were built. Previous Soviet designs, fuelled with cryogenic LOX and kerosene, commonly took hours to fuel and launch, around 2 hours. The R-9A, on the other hand, could be launched after 20 minutes from the time a launch order was given. So for R-9A new achievements were the capability of using the supercooled oxygen and also the process of fueling and launching quickly a production missile using cryogenic LOX. In order to achieve this, new technologies had to be mastered. Vasily Mishin developed new materials and machinery to precool the liquid oxygen to around -210 Celsius (°C), then devised vacuum isolation storage systems that reduced boil-off losses during storage, transport, and fueling operations by 500 times. All the processes followed before launching are described here (audio is in Russian language). Using the supercooled LOX was very important for this project. Studies have shown that there are additional opportunities to improve the efficiency of the supercooled LOX. Using it gave a lot of advantages to R-9A. First it takes a smaller volume, secondly sharply decrease evaporation losses and thirdly can be implement high-speed refueling in this way the oxygen getting into a warm tank will not boil rapidly, as it usually happens. In this case supercooled LOX at a temperature of -210 Celsius (°C), strongly increases its fluidity and allowed them to drastically reduce refueling time which was very important for the missile to be fueled and launched quickly as fast as possible for emergency or tactical launches in case that will be needed. We know how the tension was at its peak in the beginning of 1960s. The R-9A despite that it had nuclear weapon as payload was a launcher, which probably after some modifications done to it and with a 3rd stage mounted to reach orbital speed, could have the capability to launch small payloads in orbit according to its specifications. Information of websites confirms that the LOX used in R-9A was supercooled. But some websites say -186 °C, but I doubt this because at some of them the temperature is shown with (?) mark. According to tonnel-ufo.ru and astronautix.com, the temperature of liquid oxygen was -210 Celsius (°C) = 346 Fahrenheit (°F) = 64 Kelvin (K), which means lower than Falcon 9 FT 66 K (-340 F). So by this information it means that the R-9A could be the launcher that uses the LOX in the lowest temperatures ever. Anyway the most important thing that has to do also with your question, is to be sure that the Falcon 9 FT is not the first real launch carrying a payload that uses supercooled LOX, because at least one another launcher has been using it long before than Falcon 9 FT. 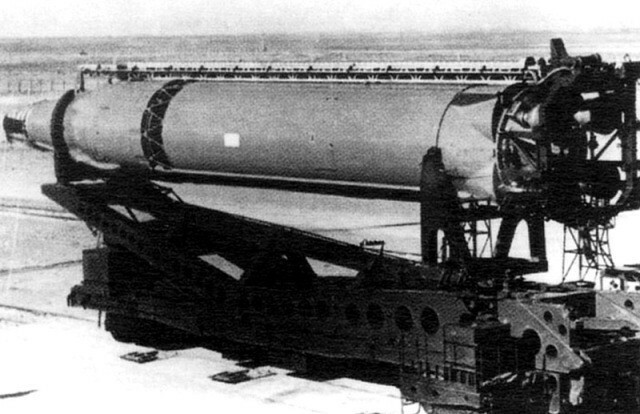 The Soviet N1 rocket used subcooled liquid oxygen. The driving force behind this was to use a common shaft on the turbopump for the fuel and the oxidiser. By subcooling the liquid oxygen such that it's density was equal to the RP1 fuel they were able to simplify the rocket engine design and reduce weight. It's one of the reasons behind the very high thrust to weight ratio of the NK-15 and NK-33 engines. The subcooled liquid oxygen was also required to lubricate the turbopump. It never made it to orbit unfortunately, but it had four real launches with payloads as per the question. I have not been able to find a reliable source for this, but according to this forum post, the Atlas ICBM used lox at 78 K in the first part of the launch, referred to as "supercooled". For comparison, the shuttle used lox at 90 K.
Not the answer you're looking for? Browse other questions tagged spacex falcon-9 fuel sub-cooled or ask your own question. Could the SpaceX Falcon 9 Block 5 work without sub-cooling the propellants?